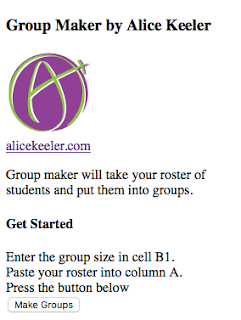 Alice Keeler's Add-on Group Maker allows users to take a number students and place them into groups of 2,3, 4, 5, etc. Flippity.net's random name picker is a great one as well and my blog post from August 7th about it can be found by clicking here. Flippity's also allows you to make "teams"/ groups between 2 and 12. 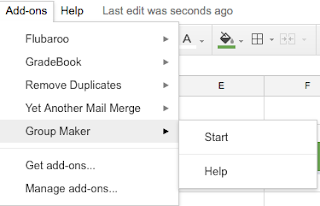 The Add-on is very simple to use. Directions are followed underneath of the embedded 2 minute and 2 second YouTube video. 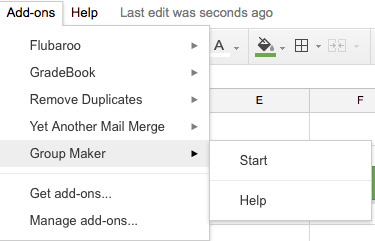 You will need to make a copy of the template.